I found these links and thought they were great. Below you will find a great resource for 200+ Keyboard Shortcuts for Excel 2007, 194 Excel Keyboard Shortcuts for Excel 2010 (both are Windows Products) and 196 Excel 2011 Keyboard Shortcuts for the MAC. I like they way they give you a graphical way that they have posted the keyboard shortcuts. 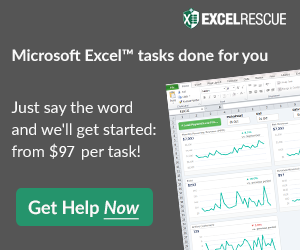 I would highly recommend checking out each one as it can save you a TON of time when creating and designing your Excel Dashboards. 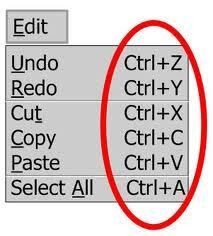 What is your favorite Excel Keyboard Shortcut? Mine are always the Excel Navigation keyboard shortcuts. Let me know any you think should be on the list as well. I have not talked with with you for a very long time, I hope you are well. In the past you helped me with a chart that I wanted to put vertical lines on. I have lost the examples you gave me and I was wondering if you could make up a VERY SIMPLE sheet with VERY FEW entries and STEP BY STEP on how to do it. I tried to google the answer and the sites I found and tried to apply the information provided did not work and I don’t know why. This time I will save your example so I won’t have to bother you again.